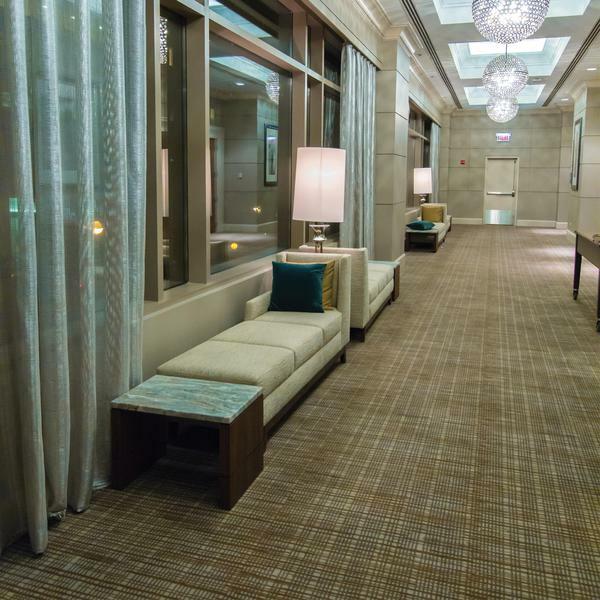 The Hyatt Chicago Magnificent Mile has undergone a magnificent transformation. Chicago’s Magnificent Mile is a prestigious section of the city where historic landmarks coexist alongside modern high rise buildings. The hotel evokes a rich boutique feel paying homage to the city’s rich history within a modern urban aesthetic. 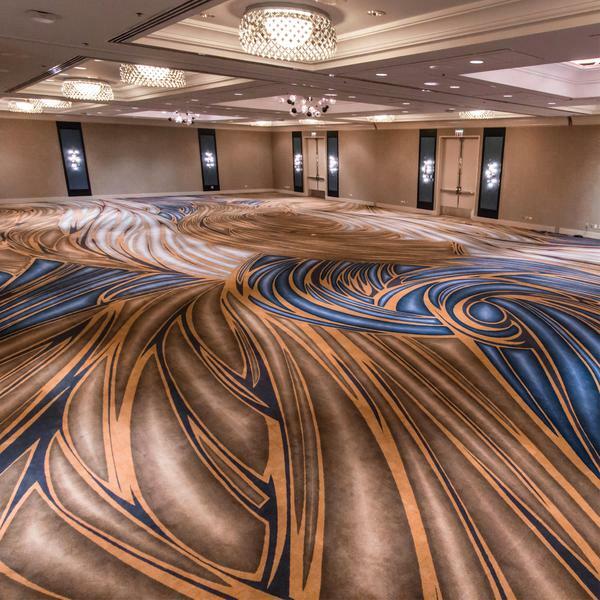 Brintons supplied carpet for the property’s 14 meeting rooms and Grand Ballroom, offering up to 18,000 square feet of event space and accommodating between 10-450 person groups. 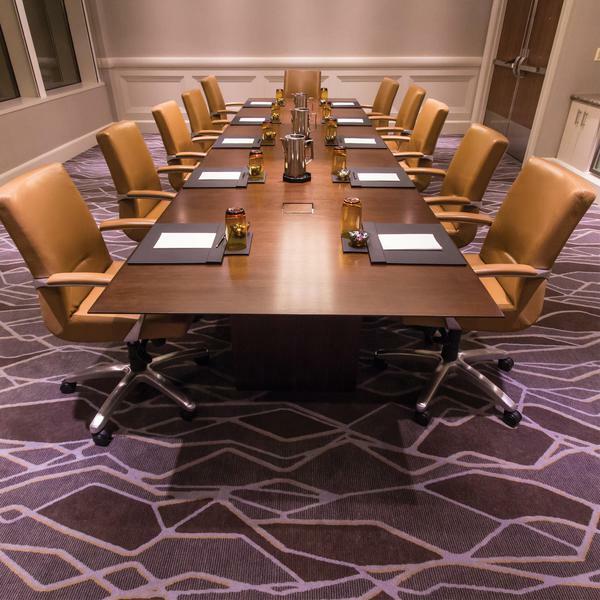 Brintons collaborated with Looney & Associates to design the Grand Ballroom, meeting rooms and guest room corridor carpets. The carpet patterns were inspired by the structured city grid and rolling waves of Lake Michigan. Our goal for the project was to engage and enliven guests with a luxurious modern design, while always being mindful of the unique locale and history surrounding the property. The very talented Brintons team helped us accomplish this. 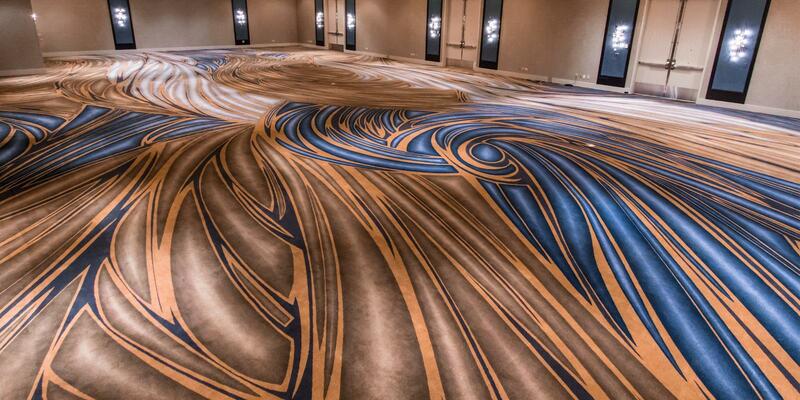 We are most proud of the Grand Ballroom carpet, inspired by the undulating shoreline it is designed using a modern sense of scale with waves of deep blue and rich warm neutrals. The collaboration with Brintons has helped us achieve an exceptional design evoking sophistication and elegance.